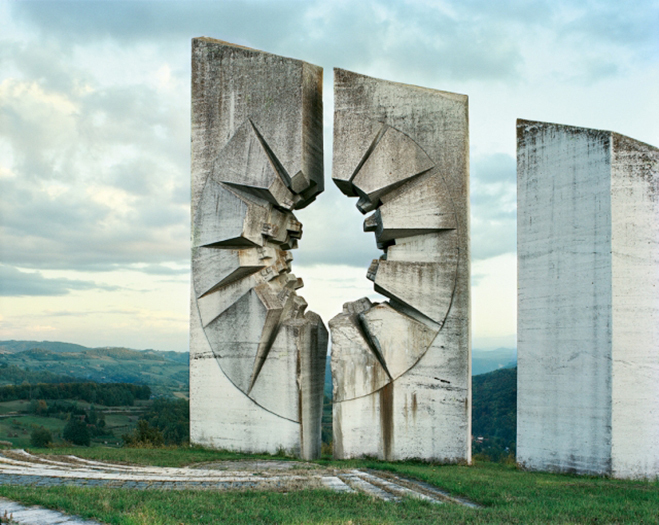 These monolithic structures are most impressive, like giant sculptures set in the natural landscape. 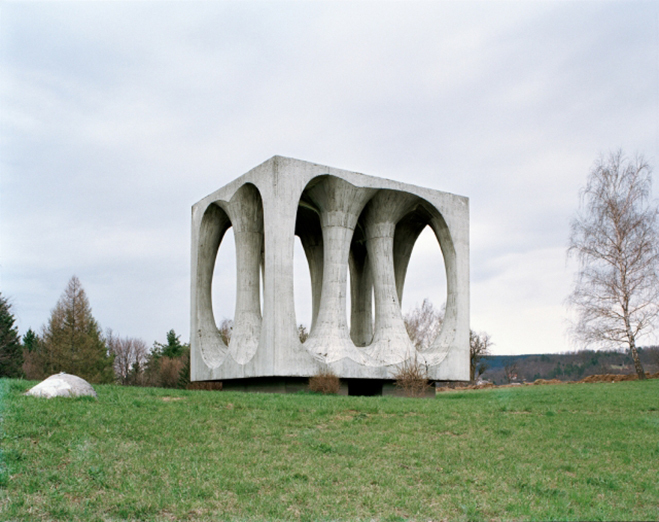 I’ve always been attracted to sculptors like Isamu Noguchi and Constantin Brancusi, they create fantastic bold forms out of natural materials. Some are even replicated across wood, stone and clay, which leads to some interesting creations. 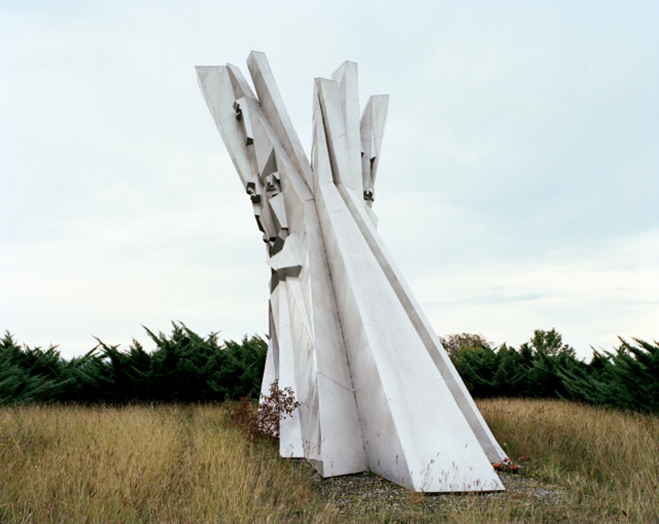 They do say that inspiration comes from the most unusual sources and Belgian photographer Jan Kempenaers proves this point with his superb series titled ‘Spomenik’. 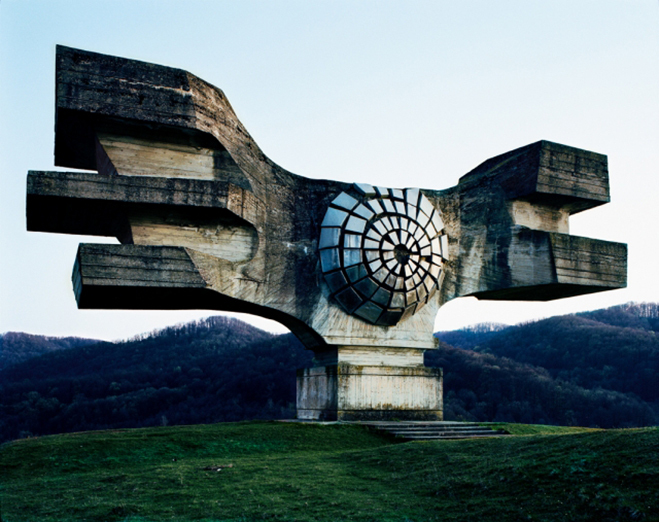 These spomenik, or monuments, are found scattered throughout villages and rural areas in the former Yugoslavia. 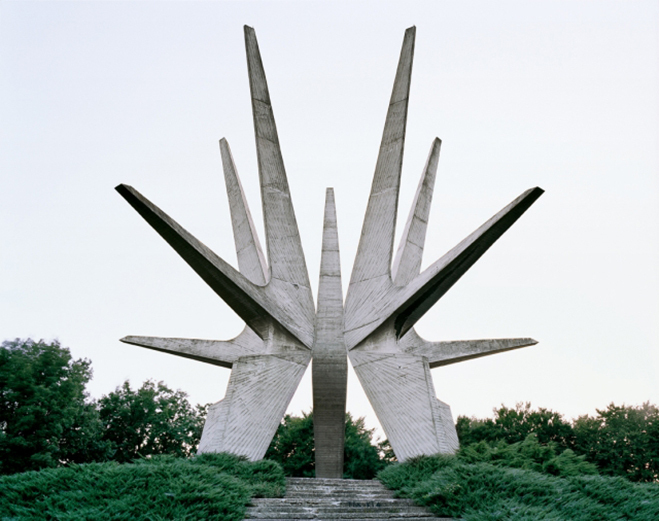 Commissioned by the communist leaders of the 1960’s and 70’s, these have captured the interest of photographer Jan Kempenaer who has traveled the many countries of the Balkans during the past decade and has documented them with his camera. 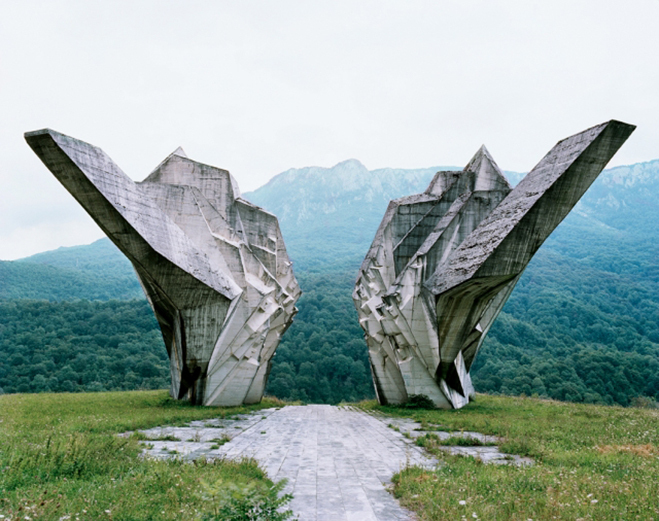 Although the monuments are now abandoned and neglected, they are still strikingly beautiful after all of these years. 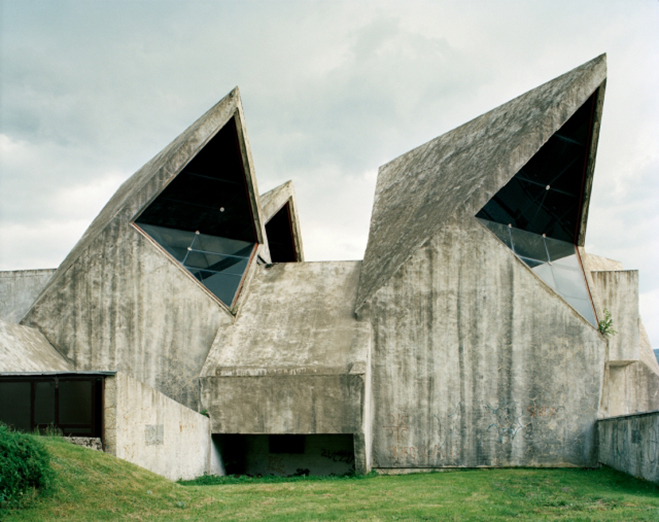 The use of reinforced concrete is prevalent in all the forms, possibly chosen because of its strength and flexibility, but beneath this Brutalist nature is a combination of abstract shapes and satisfying angles. It’s also interesting to note the relationship between these and architecture itself, with some of them appearing like actual buildings though having no living space inside. 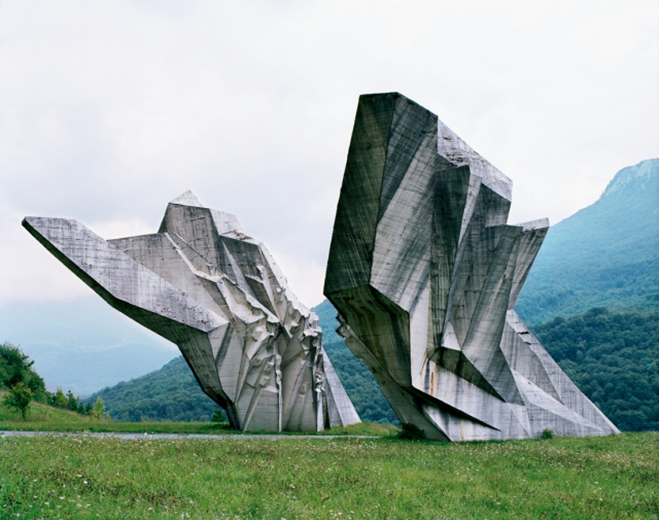 Although now just a visual attraction, these do have a lot of history behind them. 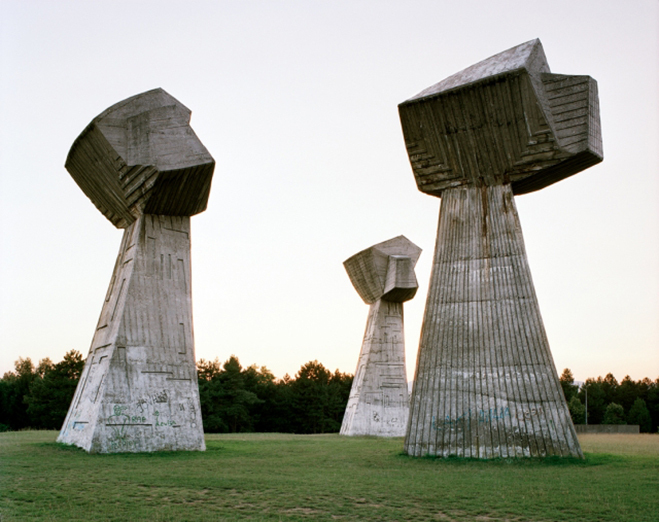 On a personal note I’m contemplating these monoliths from afar and admiring them as a general piece of creativity. If you like these photos then I recommend browsing Jan’s website to see more, you’ll also find his book of the same name on Amazon.